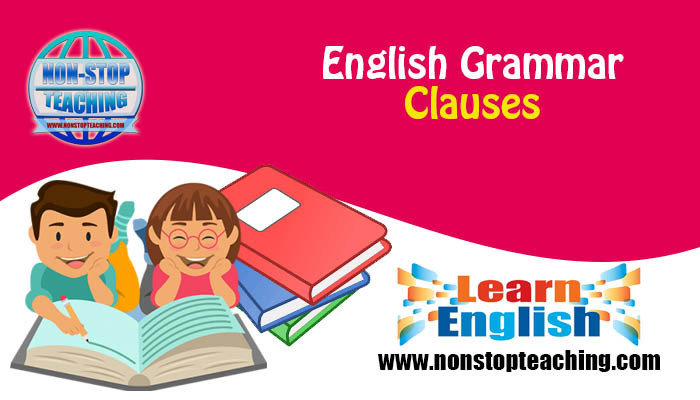 A clause is comprised of a group of words which includes a subject and a finite verb. A clause contains only one subject and one verb. The subject of a clause can be mentioned or hidden, but the verb must be apparent and distinguishable. An independent clause functions on its own to make a meaningful sentence and looks much like a regular sentence. In a sentence two independent clauses can be connected by the coordinators: and, but, so, or, nor, for*, yet*. I read the whole story. A dependent clause cannot function on its own because it leaves an idea or thought unfinished. It is also called subordinate clause. Dependent clauses help the independent clauses complete the sentence. A dependent clause alone cannot form a complete sentence. The subordinators do the work of connecting the dependent clause to another clause to complete the sentence. In each of the dependent clause, the first word is a subordinator. Subordinators include relative pronouns, subordinating conjunctions, and noun clause markers. When I was dating Daina, I had an accident. I know the man who stole the watch. He bought a car which was too expensive. I know that he cannot do it. He does not know where he was born. If you don’t eat, I won’t go. He is a very talented player though he is out of form.